Which made me think about an encounter I had some time before, in the All Nippon Airways lounge in Narita Airport (near Tokyo). Quickly re-printing a boarding pass, or a map, or a hotel reservation is a nice service for airline lounges to offer their guests. 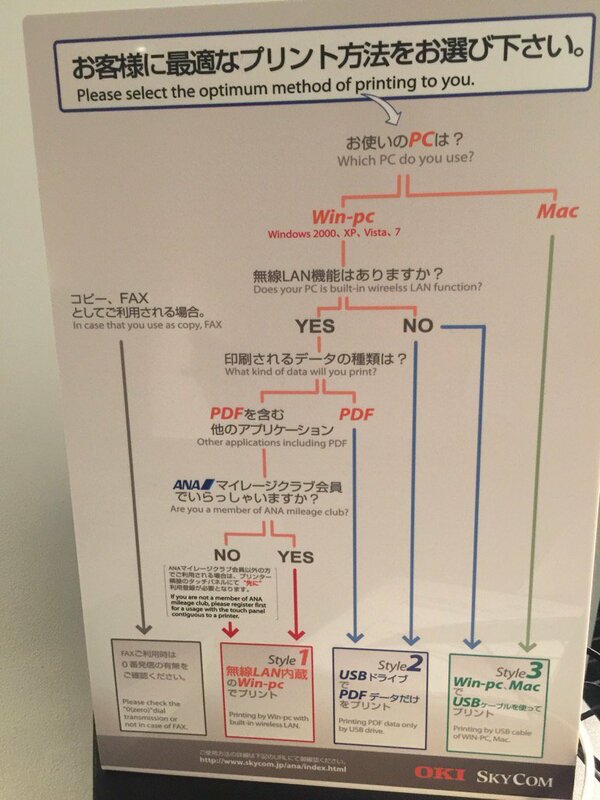 Printers From Hell: Flow-diagram from All Nippon Airways lounge in Narita Airport. 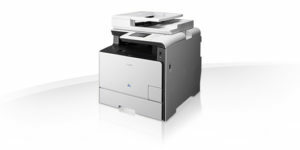 Printers seem to be the one great hold-out on user interaction / user interface / user experience – and that, despite companies such as Apple inventing “AirPrint” and the like. I acquired this printer (Canon i-SENSYS MF724Cdw) for my office, under the promises of being able to do everything: AirPrint, printing/scanning over Ethernet, WiFi Direct which seemed a clever way in case a visitor should want to print a document, etc. As a printer, it’s awesome: fast, sharp prints. It has proper access control so that those needing to be able to print to it can do so using individual access codes. 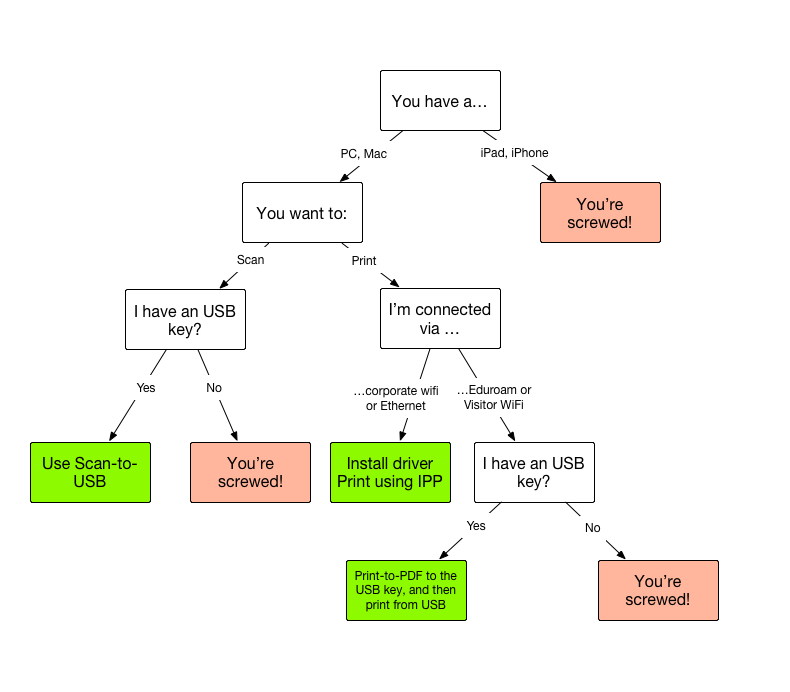 And IPP just works. And as a scanner, it’s also awesome: duplex, reasonably fast, sharp scans. Granted, I spent a total of 10min on setting it up and connecting it. At some point I’ll invest a bit more than 10min to do something simpler/better/smarter. 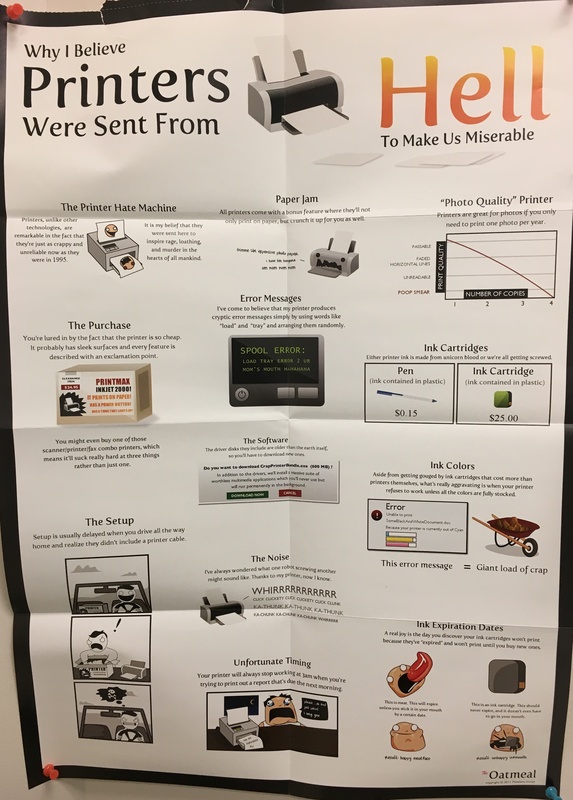 But the fact that more than 10min is required for something as simple as this is evidence that, indeed, printers seem to be the one great hold-out on user interaction / user interface / user experience.